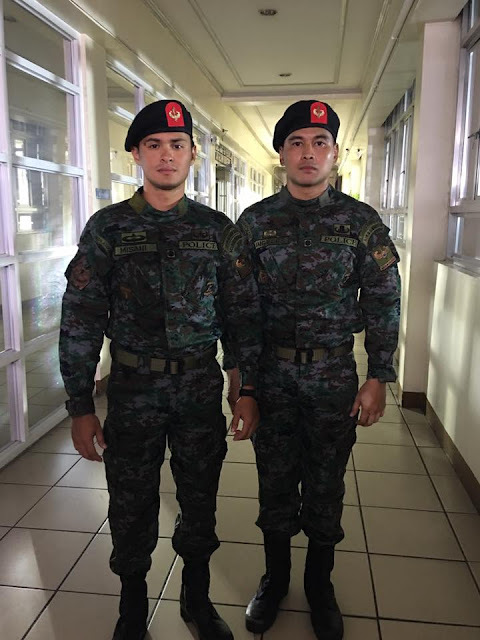 The action drama “Across the Crescent Moon,” starring Matteo Guidicelli, is having a special exclusive run at the Rockwell Power Plant Mall Cinema from March 31 to April 4. This event is made more special because the movie is presented in Dolby Atmos sound, making “Across The Crescent Moon” the first Filipino film to be mixed in the global film audio standard. 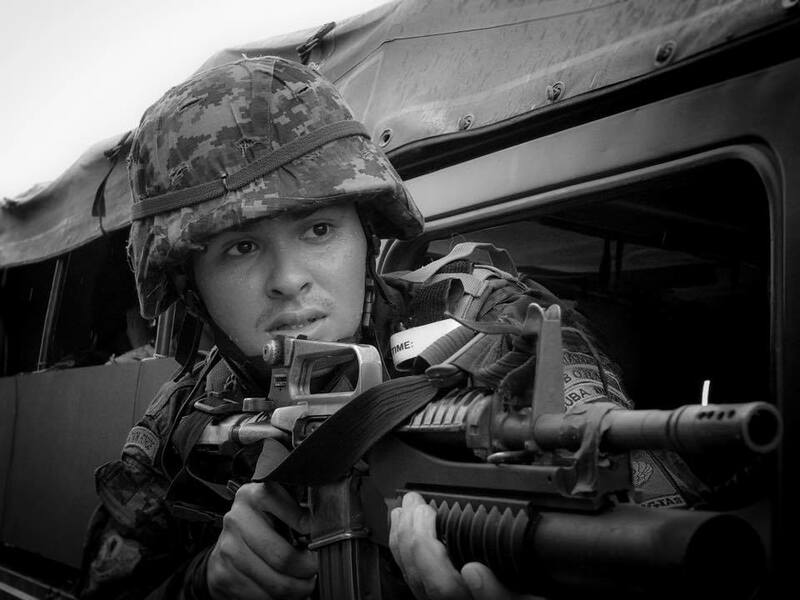 “Across The Crescent Moon” tells the story of a Special Action Force (SAF) agent played by Matteo, who is tasked to investigate a human trafficking syndicate. The movie had its first theatrical run last January. It is headlined by an all-star ensemble cast: Christopher de Leon, Gabby Concepcion, Dina Bonnevie, Sandy Andolong, Joem Bascon, Ivan Carapiet, and introducing Alex Godinez. Award-winning sound engineer Mike Idioma of Wildsound is responsible for the sound design and mix. His company Wildsound launched their Dolby Atmos mixing studio two years ago. 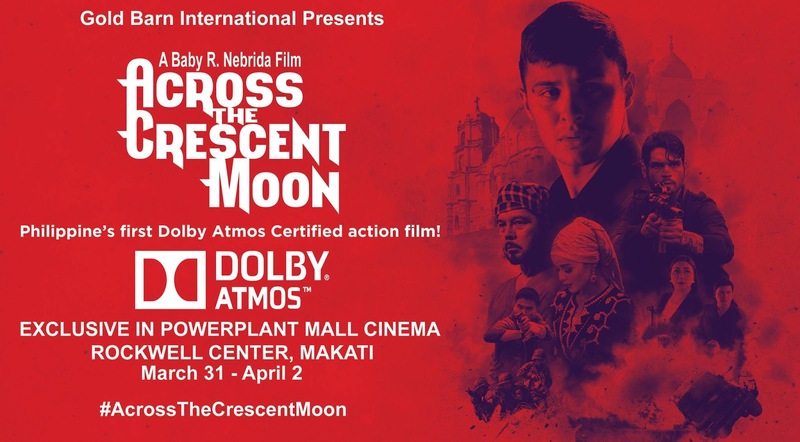 A number of Asian films have been mixed here, but Gold Barn International Corp. (producer of “Across The Crescent Moon”) is the first Filipino company to hire Wildsound’s Dolby Atmos services. Idioma praised Gold Barn’s move, saying, “It marks a technical upliftment for Filipino cinema.” He adds that there are actually about 50 local cinemas that have Dolby Atmos but local producers have yet to maximize this technology. “Across The Crescent Moon” now joins the ranks of international films like “La La Land,” “Rogue One: A Star Wars Story,” “Moana,” “Dr. Strange,” and “X-Men: Apocalypse” that are all mixed in Dolby Atmos. Here is the full statement of director Baby Nebrida on why she pushed for this technical achievement: “When I created the story and the screenplay, I had the intention to have my film shown internationally because the subject matters about human trafficking and inter-faith relationship among Christians and Muslims have engaging universal appeal. The intended market is for international and not just local. People have commented before that Filipino films fail on technical excellence that's why it is difficult to penetrate the international theaters andsatisfy its audience. We thought of giving excellent quality photography by using the expensive Alexa XT high and Phantom quality Cameras for our film—exactly what Hollywood filmmakers use. And, then we wanted to use Dolby Atmos high quality sound, which was never used by other Filipino filmmakers in the history of Philippine cinema, to enhance the action and drama scenes with special effects so we can show to the world that Filipino sound engineers (like our award-winning sound master Mike Idioma) have great talents and that we can access world class technical equipment in our country, too! All these can be seen in the new version of ‘Across The Crescent Moon’ that will be shown exclusively in Rockwell Power Plant Cinemas on March 31, April 1, 2, 3, and 4! This is a fantastic proof that the Filipinos can be world-class filmmakers! The powerful message will be resonated to the many troubled countries that are burdened by biases and prejudices. This is a celebration, indeed, because we have many invitations to bring this film to so many countries and with the technical excellence we are proud to say that this is a Filipino made film! We showcase our country through this film and we want Filipinos overseas to be so proud of our country. We have done our best, given our all and we are so happy and so overwhelmed by the finished product! The Dolby Atmos sound is powerful, crispy and so realistic involving! The result is sound that feels as though it's coming from the room we are sitting in. Raindrops can be heard hitting, individuals close-by, helicopters sound like they're flying right above us. What do ‘Batman vs. Superman,’ ‘The Revenant,’ and ‘Star Wars, The Force Awakens’ have in common? They all use Dolby Atmos Sound!"